This is a friendly reminder of three deadlines which are fast approaching regarding the PCA/ACA 2016 conference in Seattle. 1. Travel Grants, December 8 — If you haven’t yet applied for a travel grant, the deadline to do so is December 8. Check out http://pcaaca.org/grants for more information. 2. The Award Nomination Deadline approaches, December 14. 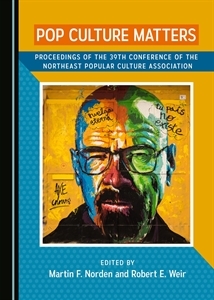 This is the final call for nominations for the Popular Culture Association/ American Culture Association awards for the 2016 conference in Seattle, Washington. The deadline for nominations is December 14, 2015 and that is a firm deadline. Please do not hesitate to contact me directly with questions or contact updates. 3. The Registration Deadline to guarantee your spot in the program isDecember 15.Note: If you have already registered, you can ignore this message. Participants who fail to register by December 15 will be dropped from the program.